The End of Fear unravels the bizarre history of the destruction and restoration of ‘Who’s Afraid of Red Yellow and Blue III’ by Barnett Newmann. Visual artist and filmmaker Barbara Visser revisits the very public destruction, restoration and court case of this iconic painting. In 1986, a man entered the Stedelijk Museum Amsterdam and slashed the painting Who’s Afraid of Red Yellow and Blue with a utility knife, supposedly, in response to the abstract nature of the work. A controversial restoration and court case followed. Very seldom did a piece of art evoke such strong emotions, or did its restoration raise so many questions. Through meticulous research, Visser revisits these histories and emotions and reconstructs the drama. This particular case uncovers underlying structures and mechanisms in the art world, e.g. what is the role of ‘authenticity’ in art, and why does everything need to be restored to its original form? 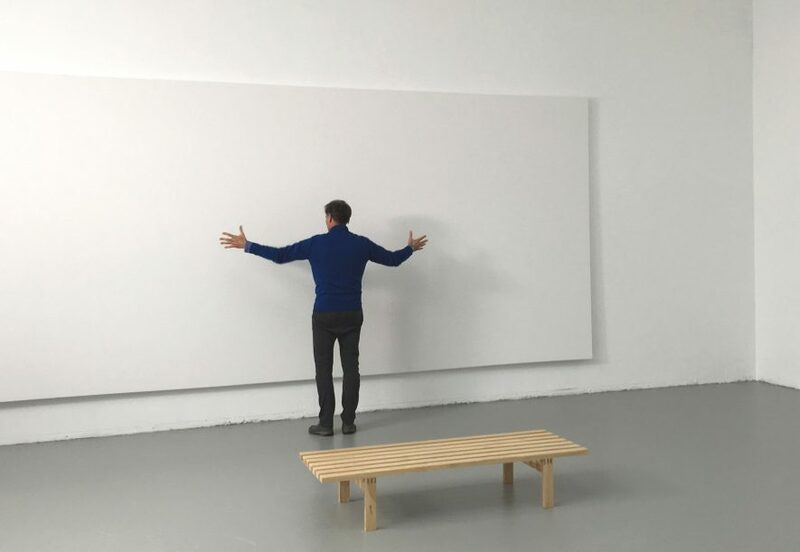 Where and how is the value of a piece of art decided? And why was a work of American abstract expressionism celebrated as a masterpiece in one of Europe’s leading museums, amidst the cold war? We will discuss these topics with Barbara Visser after the film.